Ryanair is the first airline to commit to the 200-seat version of the Boeing 737 MAX, ordering 100 of the single-aisle aircraft. The European low-cost carrier also has options for another 100 aircraft. As its name suggests, the 737 MAX 200 has a maximum seating capacity of 200 seats, 11 more than the 189-seat maximum currently on the 737-800 and 737 MAX 8 aircraft. Ryanair chief executive Michael O’Leary said the aircraft would allow the airline to lower its costs and fares. 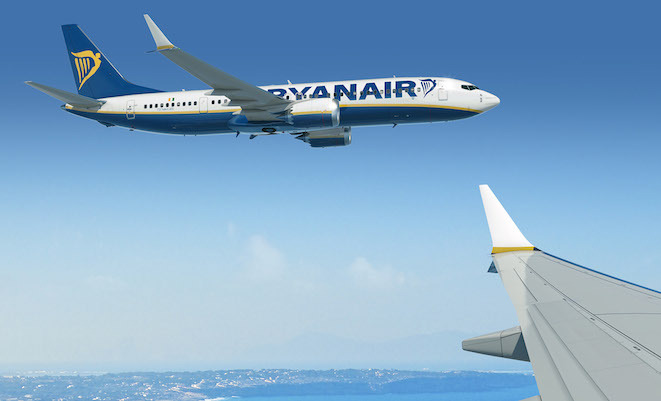 “As many of Europe’s flag carriers cut capacity on short-haul routes, Ryanair looks forward to using these new Boeing 737 MAX 200s to grow at many more of Europe’s primary airports,” O’Leary said in a statement. The 200-seat limit is reached by having additional exit doors, which increases the exit limit of the aircraft. But Ryanair will configure its MAX 200s with 197 seats, saving it from having to carry an additional flight attendant under the one flight attendant per 50 passengers rule. An Airbus spokesperson told the Thomson Reuters news agency the extra seats would also come at the expense of three of the aircraft’s eight galley trolleys. Boeing Commercial Airplanes chief executive Ray Conner said the 737 MAX 200 was designed in response to the needs of the fast-growing low-cost sector and a perfect fit for Ryanair. “For everyone at Boeing, it is an honour to launch the 737 MAX 200 with Ryanair, one of the world’s most successful all-Boeing operators,” Connor said in a statement. 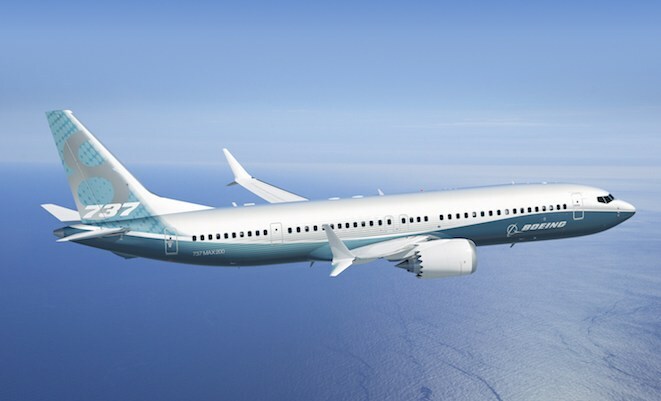 Boeing said the 737 MAX 200 had five per cent lower operating costs that the 737 MAX 8. The 737 MAX series has garnered 2,239 orders from 49 customers. First delivery, to Southwest, was scheduled for 2017. Ryanair will take its first 737 MAX 200 in 2019. Read more about the 737 MAX 200 in John Walton’s ‘Space – The final frontier’ feature story in the September edition of Australian Aviation, currently on sale. The MAX 200 features new emergency exit doors behind the wings.